While they may look like toys, goldfish can lay waste to ecosystems. It all started in Australia’s Vasse River. Nearly 20 years ago, a handful of unwanted specimens were set free into a creek and made their way downstream. They soon spread, engulfing the river and tearing apart its ecosystem. Just last year, the province of Alberta, Canada launched its “Don’t Let It Loose” campaign in hopes of keeping residents from releasing that same species that wrought havoc in Australia into the wild. Similar reports about the species’ danger have emerged from Bangor, Maine, and Lake Tahoe, Nevada, among others. What’s going on? 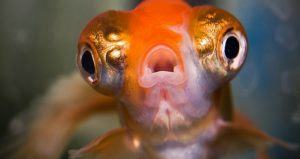 In short, feral goldfish are mutating, breeding rapidly, and seriously wrecking waterways all over the world. At least that’s what scientists speculate, anyway. When owners decide to “free” the domesticated fish in a humane way, they will often release them into local ponds and creeks. The problem is that the fish not only thrive in their new residences — they invade. In an attempt to figure out just what happens as goldfish acclimate to their less controlled environs and how to keep other ecosystems from suffering the same fate as that of the Vasse River, researchers from Perth, Australia’s Murdoch University have studied the fish’s invasion of the river since 2003. Centuries before the Vasse invasion and before the goldfish became a threat at all, the Chinese domesticated the species from the ancient carp. They considered the highly intelligent fish — apparently they can tell the difference between a Stravinsky tune and a Bach tune — to be signs of good luck and prosperity. In the 19th century, they made their way to the United States and lost their ornamental stature. 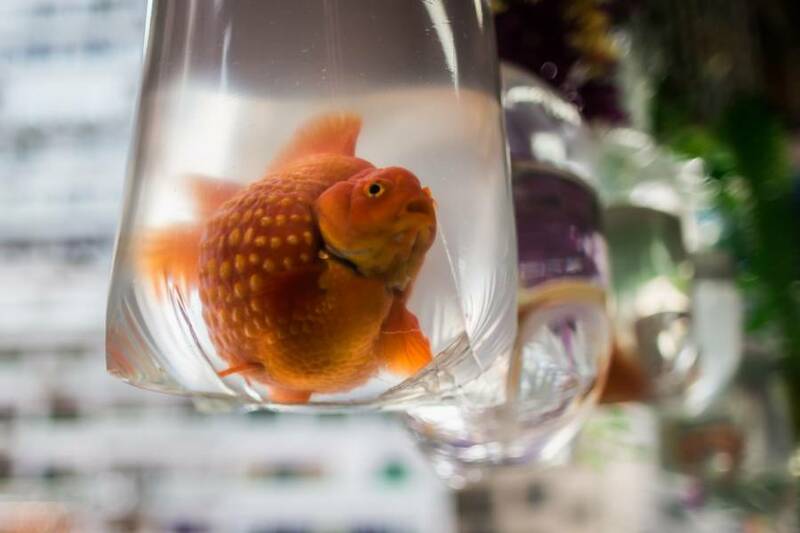 Given their ample supply, cheap cost, and common use as a decoration, it became relatively commonplace for American goldfish owners to dispose of the creatures after growing tired of them. That, according to Murdoch University researcher Stephen Beatty, was a mistake for which we’re paying today. “Once you introduce something into a new environment — even if it’s a cute, cuddly aquarium fish — it can have quite unexpected, serious biological consequences, ” Beatty told The New York Times. So just what happens when the aquarium dwellers hit the open water? 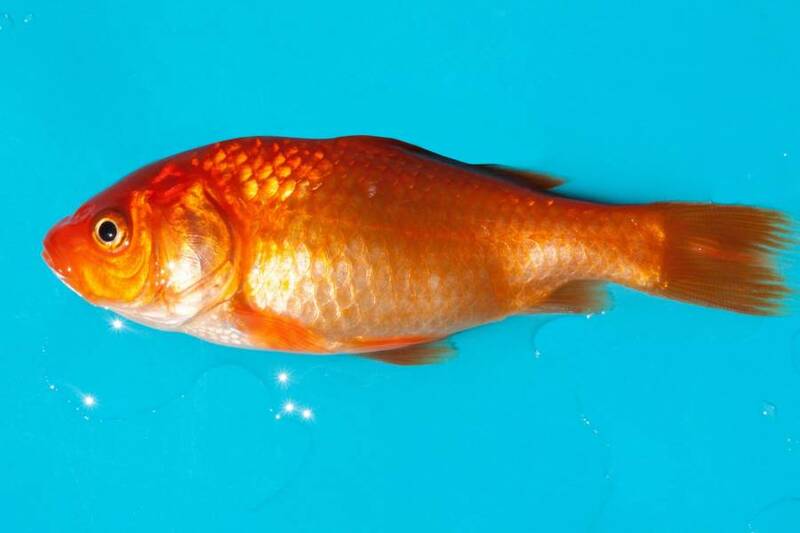 First off, they balloon: Some feral goldfish observed in the Vasse have grown to be over 16 inches long and weigh up to four pounds. This, researchers say, simply has to do with their bodies adapting to their new surroundings. “Their size is limited in the tank, but when you release it into the wild, that doesn’t exist anymore,” Kate Wilson, aquatic invasive species coordinator at Alberta Environment and Parks, told The Washington Post in 2015. And it’s not just their size that changes in the wild either. 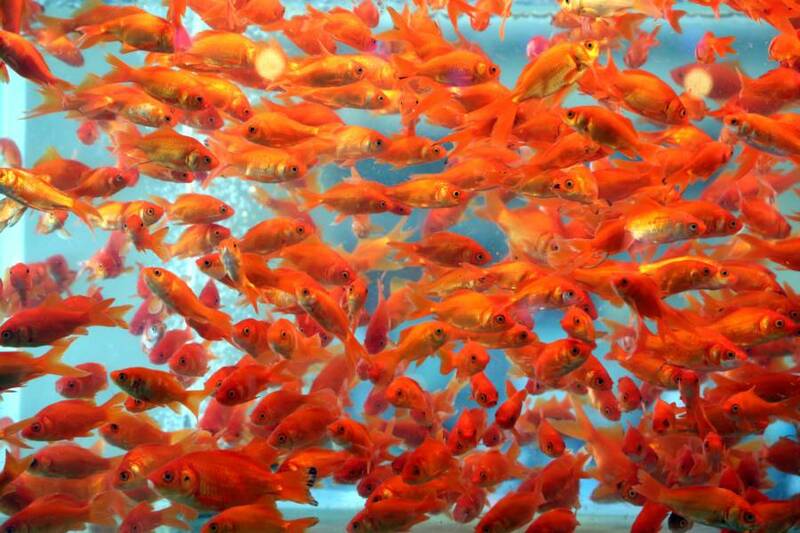 Once the goldfish grows large enough, it ditches its bright orange for more natural tones like yellow or brown. Of course, the fish don’t mutate overnight. Over time, and aided by the increased diversity and supply of food — such as algae and the eggs of other resident swimmers — these fish can feed and reproduce at incredible rates. Indeed, female goldfish in the wild can produce up to 40,000 eggs per year. And with no natural predators to speak of and a naturally long life expectancy, not much can stop these ecological terrorists from making a mess out of just about any environment in which they’re dropped. It gets worse from there: As many goldfish swim toward the bottom of waterways, they often uproot vegetation on the waterbed floor, which can trigger the release of harmful nutrients into waterways. Oh, and they can transmit parasites. How can these rogue fish be stopped? The most recent paper on the goldfish menace, published by Murdoch researchers in August of this year, may point the way toward a solution. The researchers note that newly wild goldfish are long-distance swimmers who migrate to spawn. Once researchers identify their breeding grounds, they hope to catch the fish and remove them from the wild. For now, however, researchers say that education offers the best way to avoid a freshwater goldfish infestation: That is, if residents know the kind of trauma the tangerine-colored house pet can inflict in the wild, they might be less inclined to bid Bubbles adieu via a splash in the pond. If you must get rid of your goldfish, experts suggest you find a local aquarium or hobbyist to re-home it. To some, releasing an animal into the wild may seem like the humane thing to do, but because this particularly resilient breed has been known to compete with, prey on, or even infect native inhabitants of fresh water sources, the ecological damage that ensues could end up being anything but. Next, read up on nine invasive species that are destroying America, from killer fish to man-eating snakes. Krissy Howard is a NY-based freelance writer. She regularly contributes to Runt of the Web, and her original humor has appeared on The Hard Times, Reductress, and The Hairpin.